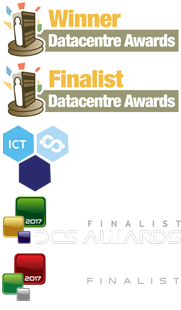 Mavin is an award winning and innovative global IT services and solutions provider. We value our team who are crucial to our ongoing growth and success. We are seeking talented and ambitious individuals to assist with our business growth and development plans. For the right people, we offer progressive roles on flexible full or part time contracts, with flexible hours, based from our delightful, rural offices near Henley-In-Arden, Warwickshire. Successful & demonstrable, direct new business sales experience within the Enterprise IT marketplace. Proactive attitude toward creating and engaging new business opportunities, with a more consultative rather than hound-dog approach to client liaison. Well connected with a tangible network of professional contacts. Please see the rest of the website to familiarise yourself with who we are, what we do and who we do it for. Please email your CV through to recruitment@mavin.global with the role title you are interested in stated in the subject field. We will issue the associated full role description and conduct telephone interviews before requesting any required face to face interviews. If you have any questions about the above roles, or wish to speak to Mavin about future opportunities, please get in touch with us. Those of an entrepreneurial spirit please look at our Mavin Agent opportunities.